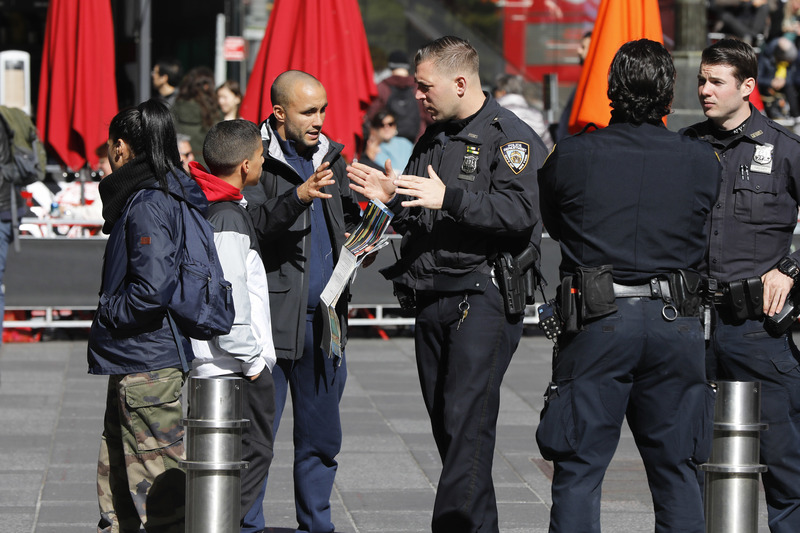 New York - Looking to improve how its police department interacts with the public, New York City on Friday started requiring officers to give their business cards to people they stop and to explain, in most instances, why law enforcement activity is taking place. The measures, born out of concern that controversy over stop-and-frisk practices had eroded trust in the department, also require officers be trained to obtain voluntary, knowing and intelligent consent before conducting searches without a warrant or probable cause. “Trust is perhaps the most critical component in the relationship between the police and the communities they are charged with protecting,” said city council member Antonio Reynoso, who sponsored the legislation behind some of the new requirements. The reforms, known collectively as the Right to Know Act, were passed into law last December. The NYPD printed about 10 million business cards, developed new training on the Right to Know requirements, updated its patrol guide and created a quick-reference sheet for its 35,000 officers. About 9 million of the business cards are personalized with officers’ names, shield numbers and other required information, the department said. The other 1 million cards are blank templates that officers can fill out on the fly when they run out of their own. “As we’ve said from the beginning, the ‘Right to Know’ laws will discourage police officers from proactively addressing crime and disorder and will lead to more frivolous complaints,” said Patrick Lynch, president of the Patrolmen’s Benevolent Association. The NYPD has said it’s showing a commitment to building community trust by sharply reducing stop-and-frisks, embracing a neighborhood policing strategy and implementing the bulk of a separate set of reforms recommended by a court-appointed facilitator. The NYPD reported less than 10,000 stop-and-frisks last year, down from about 684,000 in 2011. Those numbers have been falling since a federal judge ruled in 2013 that the practice of stopping and frisking people without justification violated the civil rights of minorities. Police watchdogs are wary and say they’ll be monitoring compliance with the new measures, such as by videotaping officer interactions. They said any violations will be raised with the Civilian Complaint Review Board. “The question remains whether the NYPD will commit to implementing this new law in good faith, especially in communities of color that still experience heavy police presence in their neighborhoods,” said Michael Sisitzky, of the New York Civil Liberties Union. This is a headline from twenty years ago.